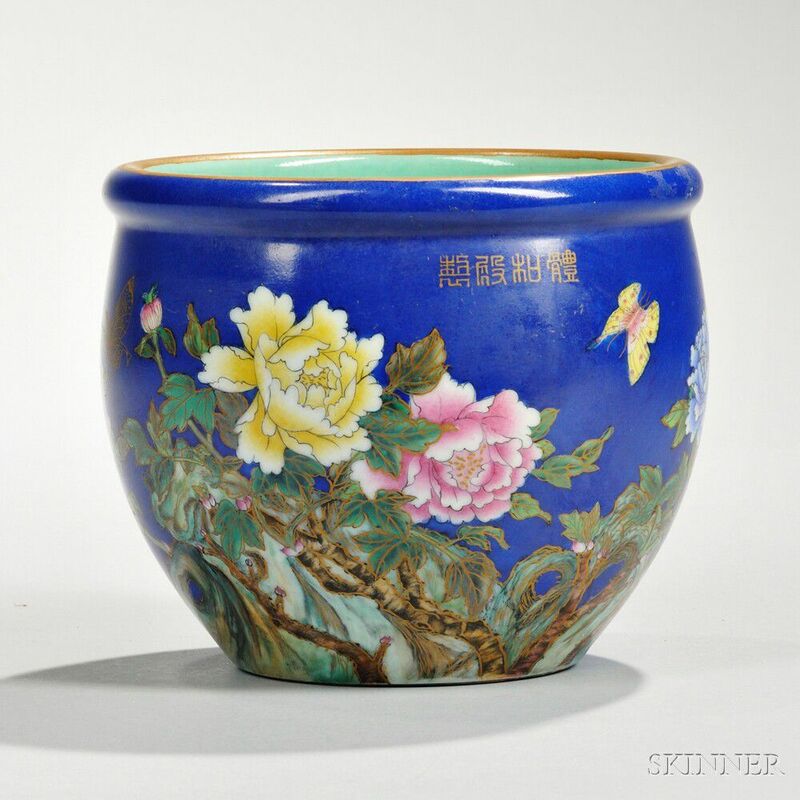 Blue and Famille Rose Planter, China, 20th century, rounded planter decorated with peony blossoms and butterflies against an imperial blue background, with calligraphy of a poem and four character mark "Ti He Dian Zhi," ht. 6, dia. 6 1/2 in.